Temperatures on Easter Sunday soared into the 80s for much of Iowa. Dew point temperatures remained comfortable around 50 degrees of less. That combination is typical for this time of year which makes the 80 degree temperatures feel so amazing (low humidity). 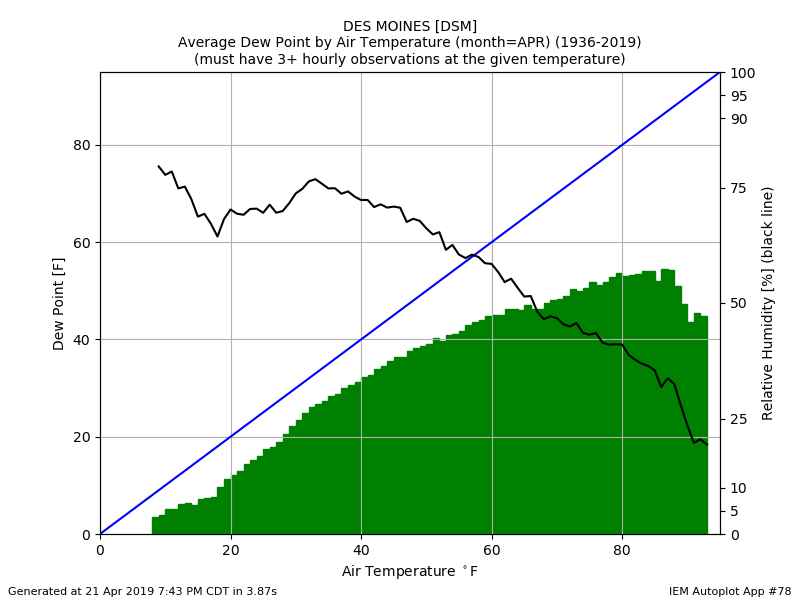 The featured chart shows the combination of average dew point by air temperature during April for Des Moines. Yesterday's weather was above average as shown by the chart. Of course, such combinations during summer months in Iowa are very rare as elevated humidity comes to visit for the summer and generally refuses to leave.